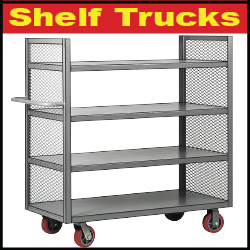 Our commitment to Total Quality includes serving you better, faster, and longer so that Standard-Direct is your best source for heavy duty, all welded material handling equipment. 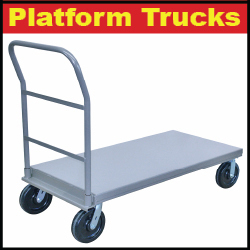 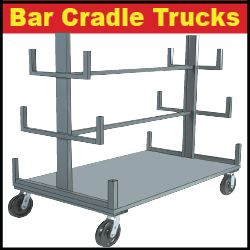 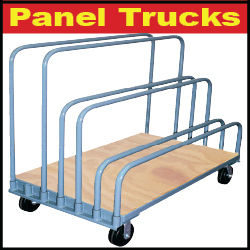 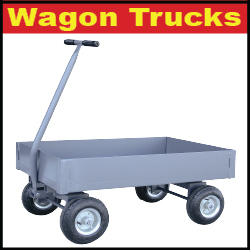 * Industrial Carts, Platform Trucks, Shelf Trucks, From - 12 & 14 Gauge Steel. 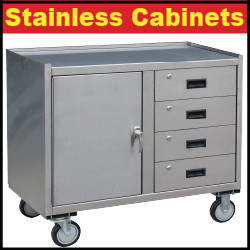 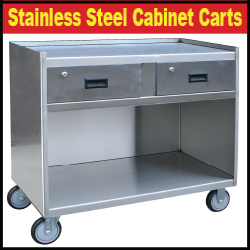 * Industrial Stainless Steel Rolling carts, workbenches & Stainless steel cabinets made from 16 & 20 Gauge Stainless Steel. 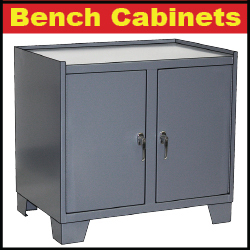 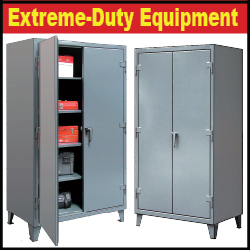 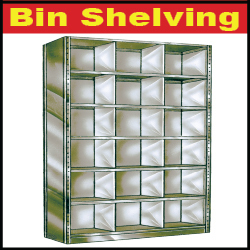 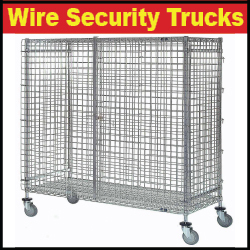 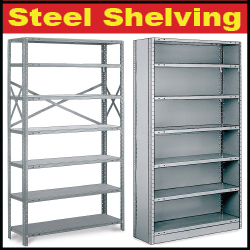 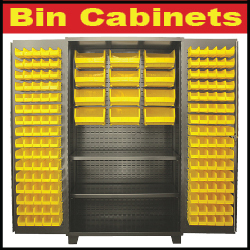 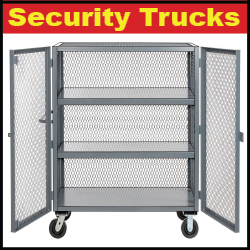 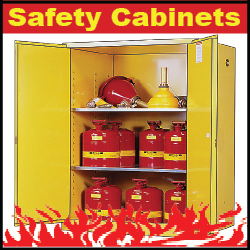 * Steel Safety Cabinets, Security Trucks, Plastic Bin Cabinets, Fire Resistant Cabinets, Gas Cylinder cabinets are made from 14 & 12 gauge Welded steel * Stainless Steel - Wall Mount & Free standing cabinets in 18 Gauge stainless steel. 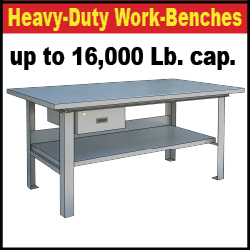 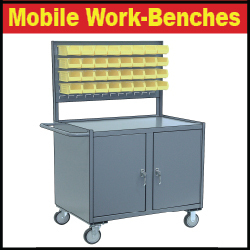 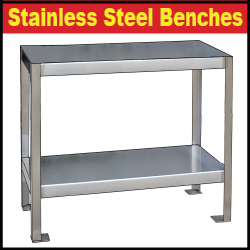 * Industrial Tables & Workbenches, Steel - up to 16,000 lbs capacity, from 12 Gauge to 1/4" thick top. 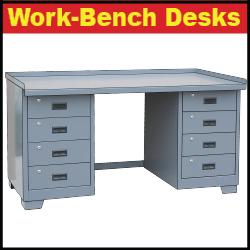 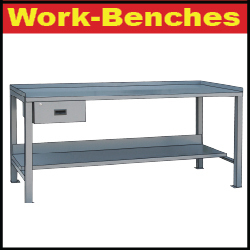 * Industrial Workbenches, Stainless Steel, up to 1500 Lb. 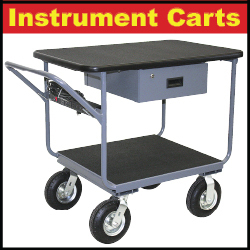 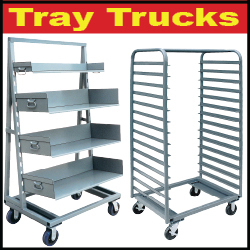 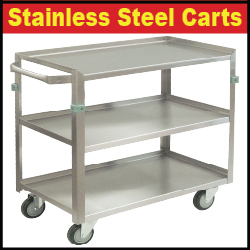 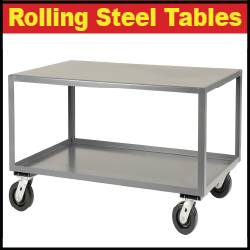 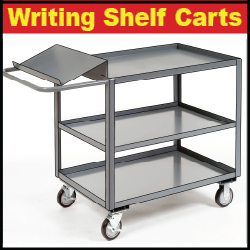 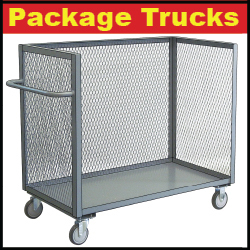 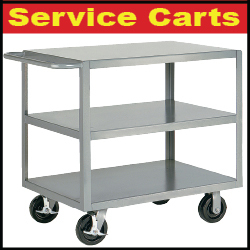 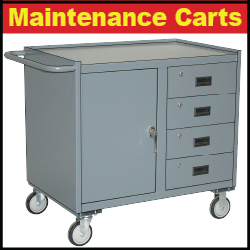 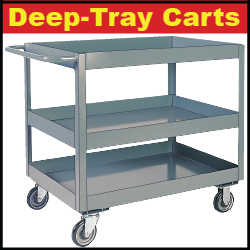 capacity, 14 & 16 gauge stainless steel carts, trucks and tables. 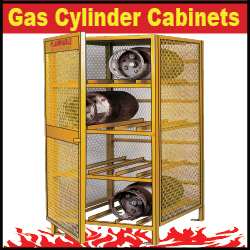 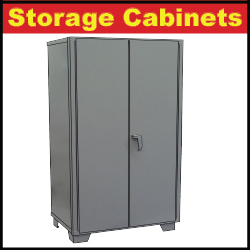 * Oxygen Cylinder Storage cabinets and carts.